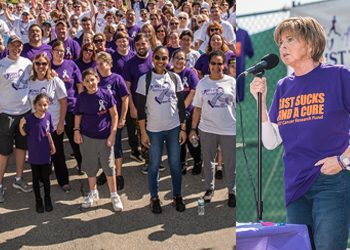 GIST Cancer Research Fund – "One Life Lost is One Too Many"
The 2018 GCRF Walk For A Cure, the largest gathering of GIST Cancer Doctors, researchers, patients and caregivers in the world, was a great success. GCRF would like to extend our deepest appreciation to everyone who participated. Thanks also to our spokesman, NBA great, Walt Frazier and to all the volunteers who contributed to making a great event. We couldn’t have done this without all of you. GCRF REACHES $10 MILLION DOLLARS IN DONATIONS. 100% OF THE FUNDS GO TO GIST CANCER RESEARCH! Since its inception in 2001, the GIST Cancer Research Fund has been relentless in its efforts to find a cure for GIST Cancer. This year, we are proud to announce a major milestone in donations reaching $10 million dollars. The most important part of the achievement is that 100% of all the funds raised went to GIST Cancer Research. 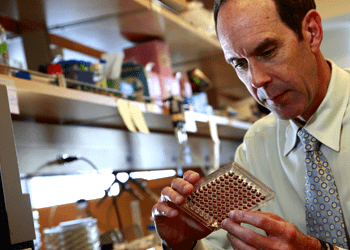 In 17 years, our GIST Cancer Doctors and researchers have made major strides in finding a cure. Perhaps, in a few more years, a cure will be found for this deadly cancer. 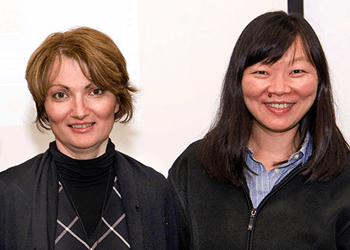 Watch the presentation by Dr. Cristina R. Antonescu and Dr. Ping Chi on their ongoing research for GIST Cancer at their Memorial Sloan Kettering Cancer Center lab. Save the Date! The Turano Family’s 4rd Annual GIST Cancer Research Fundraiser will be held on Friday, September 13, 2019. For over three years, the Turano Family and Friends have raised over $62,000 for GIST Cancer Research. This year plans for an event bigger and better. 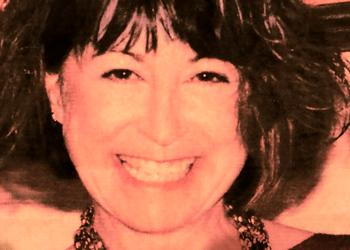 The family of Jay Laegreid celebrated her life by holding an event in her honor on July 20, 2018 in Seattle, WA. The event was a big success and thirteen thousand dollars was raised for GIST Cancer Research. GCRF extends it deepest appreciation to the Laegreid family and all who contributed to the event and the obliteration of GIST Cancer. The SWOG study shows strong long-term survival rates for patients with GIST. "This is a really exciting finding," said Dr. Michael Heinrich, a SWOG investigator and a professor of medicine and cell and developmental biology at Oregon Health & Science University, where SWOG is based. GCRF is committed to supporting the GIST Cancer Team of Doctors, Researchers and Nurses who have dedicated their lives to the treatment and cure of this deadly cancer. THANK YOU WASHINGTON FOR WALKING TO FIND A CURE! The 2019 GCRF Walk For A Cure in the State of Washington was held on April 13, 2019 at Sarg Hubbard Park in Yakima. While the weather was cloudy, it did not damped the spirits of the walkers who came out to support GCRF. 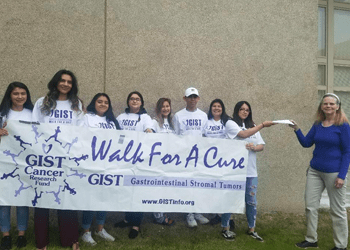 Gastrointestinal Stromal Tumor or GIST is a rare, orphan cancer which starts in a type of tissue called the stromal or the body’s connective tissue (fat, muscle, blood vessels, deep skin tissues, nerves, bones or cartilage). GIST is a silent cancer often spreading before the patient has symptoms. Each year, approximately 5,000 adults in the United States alone are diagnosed with GIST Cancer. According to the American Cancer Society, many doctors misdiagnose GIST as another type of GI cancer. The lifesaving treatment for GIST is delayed and the GIST Cancer destroys lives. The overall five year survival rate of people diagnosed with a malignant tumor has been estimated to be 76%. 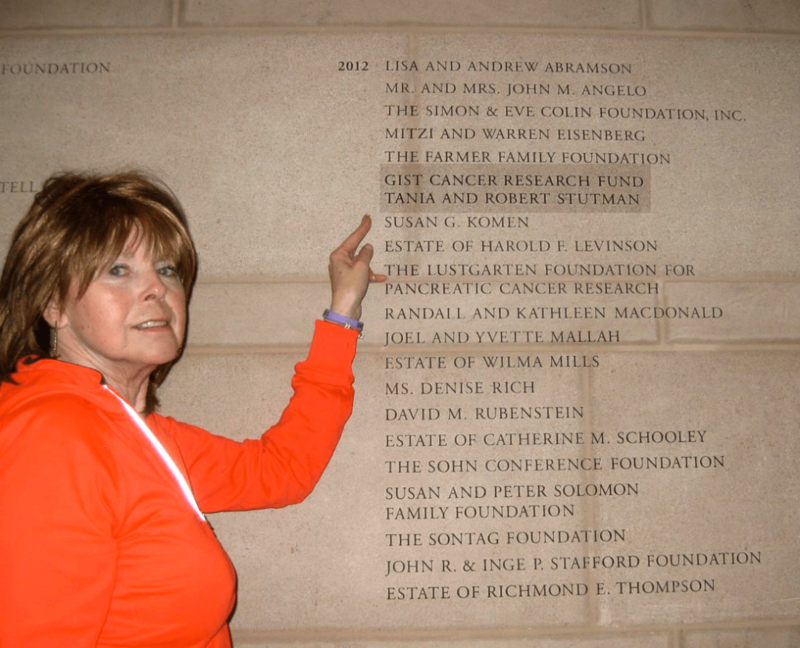 In 2012, The GIST Cancer Research Fund and Robert and Tania Stutman were honored by Memorial Sloan Kettering Cancer Center for GCRF’s generous donations given for GIST Cancer Research. Their names were etched into MSKCC’s donor wall for posterity. 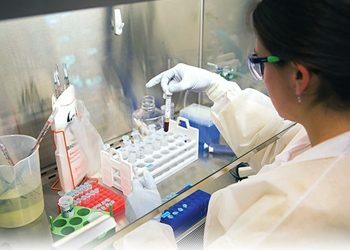 For almost twenty years, The GIST Cancer Research Fund has been tirelessly fighting to raise funds to eradicate this deadly disease with no staff, corporate headquarters or overhead. Since 2002, the foundation has raised more than $10 million and MSK has been the beneficiary of $1.6 million. Events including walkathons, 1,000-mile Cycling for a Cure bike rides, golf outings and galas now span the nation. (Other GCRF beneficiaries include Fox Chase, Brigham and Women’s Hospital in Boston, Oregon Health Sciences University Cancer Institute, and MD Anderson Cancer Center in Houston.) At MSK, the GCRF supports the work of Dr. Antonescu and Dr. Ping Chi. “I started with just a little website,” Tania says. “I went on local radio. I went to our local paper and told them my story.” In 2001, she held her first walkathon and raised $23,000. In 2018, the foundation has raised more than $10 million dollars and every penny has gone to GIST Cancer Research. United States Senator, Charles “Chuck” Schumer graciously acknowledged the GIST Cancer Research Fund with a proclamation for the importance of the numerous contributions that the GIST Cancer Research Fund and the Walk For A Cure has made to find a cure for GIST Cancer. GIST is a rare form of cancer that most doctors misdiagnose or are not familiar with the appropriate treatment. 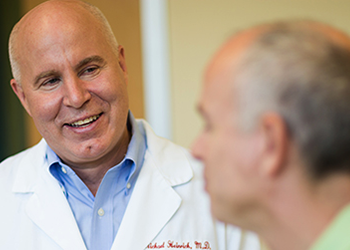 If you or a loved-one is diagnosed with GIST, getting in touch with a physician who specializes in GIST Cancer is of utmost importance. 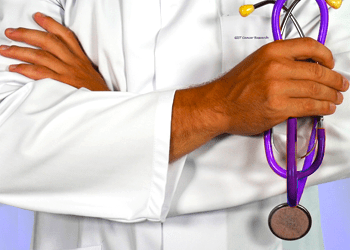 These doctors and researchers deal with this disease on a daily basis and can help guide you to the right treatment. 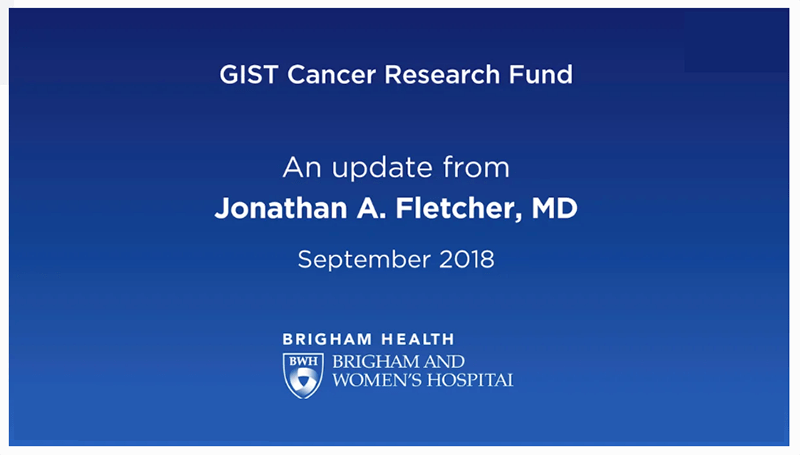 Dr. Jonathan Fletcher (The Fletcher Laboratory at Brigham And Women's Hospital) emphasized the GIST Cancer Research Fund's added value of supporting GIST research. Not only that all the support flows to the research labs, but also that each gift supports important research right now ... while also enabling talented young physician-scientists to establish careers in GIST research. In that sense, all donations are truly gifts that keep on giving and have a very high impact on development of new GIST therapies. 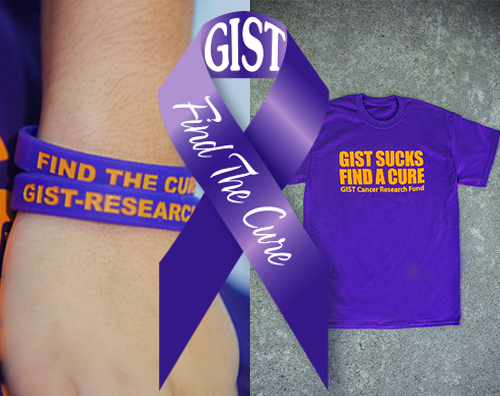 GCRF has GIST Cancer Bracelets, Ribbons and T-Shirts available for sale. By wearing and displaying them, you are spreading a message and awareness to find a cure for this rare cancer. Donate today to spread awareness and find a cure! To Purchase, Click On The Button Below. AmazonSmile is a simple and automatic way for you to support the Gist Cancer Research Fund every time you shop, at no cost to you. When you shop at smile.amazon.com, The AmazonSmile Foundation will donate 0.5% of the purchase price from your eligible AmazonSmile purchases. Please support GCRF when you shop on Amazon! Margaret von Mehren, MD, Chief, Division of Sarcoma Medical Oncology, Lori Rink, Ph.D., Assistant Professor and Martin Belinsky, Ph.D., Staff Scientist discuss the strides in finding a cure for GIST Cancer which were made possible by the GIST Cancer Research Fund.